Adding, upgrading or installing a new hard drive is always about one thing - storage, storage, storage. 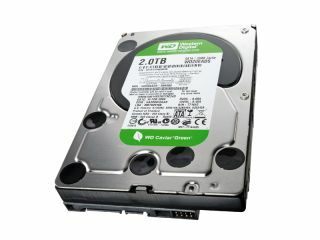 For less than £30 you could add a new hard drive to your desktop PC or laptop, not only increasing storage space but also improving performance. That last bit might sound odd, but adding a new larger drive increases system performance - newer drives store more data in the same space. That increases data throughput, or more simply: stuff loads and saves faster. Adding a new drive is simplicity itself on a desktop PC. It's a case of locating a free drive bay, along with a free data connection and power connection. Once you have those just add the new drive, plug in the two cables and you're done. But so you know exactly what to look for we've put together this simple step-by-step guide. As you'll see, physically connecting the hard drive is just half the job. Making sure Windows can read the drive is the last step. If you're adding a new drive to be be just used for storage, this job is easy. If you want to replace your Windows boot drive then the job is more complex but really just involves an extra piece of software. 1. Which hard drive do you need?